Bud Bread is the quintessential fertilizer for growing cannabis. It is an organic, wettable powder (WP) specifically formulated to provide all the nutes weed needs at every growth stage. 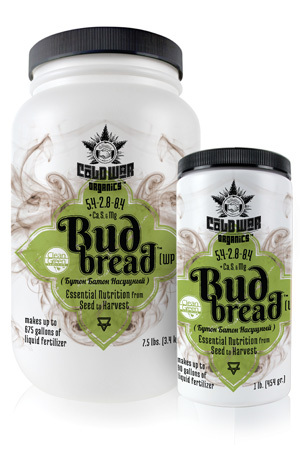 Applied as a liquid, Bud Bread WP is compatible with most watering systems, and tests on many different strains result in healthy and potent yields. 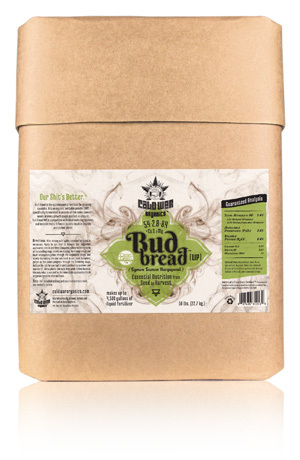 Bud Bread is available in 1 lb. jars, 7.5 lb. packers, and 50 lb. drums. 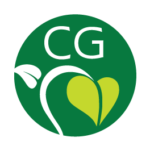 Constant agitation is required – It’s very rare to find naturally soluble, organic fertilizer ingredients. Mother Nature doesn’t want all that goodness to run through the soil without doing its job. The insoluble ingredients in this product are finely ground and will suspend in water for a short period of time, so it’s important to keep the liquid agitated while dispensing it. Mix only the amount you need – Microorganisms are everywhere and, given an ample supply of natural nutes and water, they will multiply and sometimes create objectionable odors. This product is stable as a dry powder but, once water is added, it can become biologically active. Mix only what you’ll need for the immediate application. If you’re using an irrigation system, rinse with clear water after use. Here is a 1 minute video on how to quickly and easily mix Bud Bread. Dose – Plants, like people, require different amounts of nutes at different stages of their lives. Our suggested application rate is one teaspoon/gallon per watering cycle at the seedling stage, slowly increasing the mixing rate to one tablespoon/gallon through the vegetative stage and slowly decreasing the rate back to one teaspoon/gallon through the flowering stage. See our Application Chart for precise timing. Reduce the dose by one-half in constant feeding systems and monitor EC. Allow plants one nute-free week before harvest.